I am not much of an eyeshadow palette kind of person because almost all have at least a shade or two that’s pretty unwearable. And really, how many times do we wear all the 4-5 shades together in one ‘look’? So, in short, a palette has to be really exceptional to rock my boat. 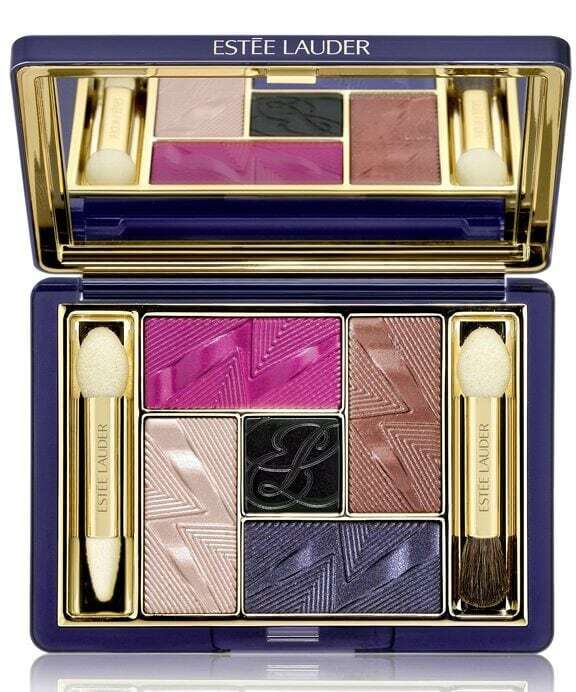 And Estee Lauder’s brand new Violet Underground Eyeshadow Palette definitely is exceptional and then some. 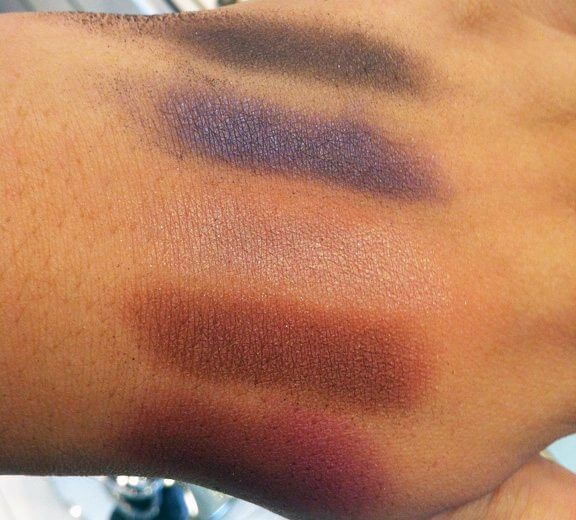 This palette is definitely THE stand out piece from the brand’s Violet Underground Collection for Fall 2012 (though I am also loving the Pure Color Velvet Lipstick in Black Cassis and the Pure Color Gloss in Chaotic Currant; swatches coming up soon). The five shades range from deep violet to salmony pink – all with a very subtle metallic sheen. The formula is based on the same ‘tribrid’ technology we first saw in the brand’s Illuminating Powder Gelee, which means that you can wear the eyeshadows either wet for a vibrant chrome finish or dry for a more subtle look. And though there is a definite punk rock vibe going on here, none of the colours fall into the scary, cannot-be-used-by-mortal-beings category. Even the dramatic fuchsia pink wears much softer and sheerer than it looks in the pan, when you use it dry. It’s much more intense when applied wet but personally, I don’t think that would figure much in my makeup plans at any time in the near future. My favourite though is the eponymous violet – a rich, vibrant, blue-touched purple that intensifies my dark brown eyes. It has excellent pigmentation and a strong metallic finish that shows up in both wet and dry versions. I also love the chocolate bronze with its metallic sheen and reddish undertones. When used dry, it is pretty opaque but has less depth; when applied damp, it takes on a much more intense, deep look that leans more to bronze than brown. The lightest shade is a salmony champagne with soft, warm undertones and a frosted finish, which makes for great all-over eye shimmer or a standout highlight. It becomes slightly more metallic when used wet but the pigmentation is full and opaque even when worn dry. 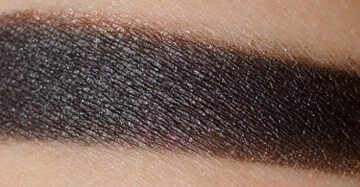 The final shade is a dark black with green tones and a very, very subtle shimmer. It has good colour payoff when used dry but packs a much more powerful pigment punch when applied wet – perfect for lining the eyes. All five shades work well together, not just in one colour combination but multiple ones. 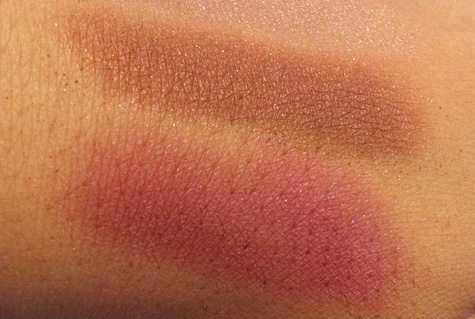 And you can go both ways: create a fairly neutral look appropriate for work with the two more neutral shades (beige and bronze) or accent them with the richer shades (pink and violet) for a bold nighttime look. The black, as I said earlier, can be used to line the eyes. Or, if you want to add more drama, use it in the middle of the eyelid to bring depth. The ‘shadows apply beautifully, whether used dry or wet. When wet, they feel almost creamy, while even the dry texture is very different from the normal talc/mica based formulations. Wearability is almost 8 hours, even without primer. If only they had better applicators. The standard dual-ended ones don’t do justice to the colours and textures, so you would be definitely better off using a separate eyeshadow brush.